Scientists at the University of York have revealed that the 1976 drought is the worst extreme event to affect butterflies and moths in the 50 years since detailed records began. The summer of 1976 saw standpipes in the streets and billions of seven-spot ladybirds swarming in search of food. It was the hottest English summer since records began over 350 years ago - the mercury topped 32 °C for 15 consecutive days across much of southern England, and some regions received no rain for 45 days straight. Since then, the UK has warmed by a full degree Celsius and experienced numerous bouts of extreme weather, from heavy rainfall and flooding to heatwaves and drought; yet no single year has caused so many butterfly and moth species to crash simultaneously. 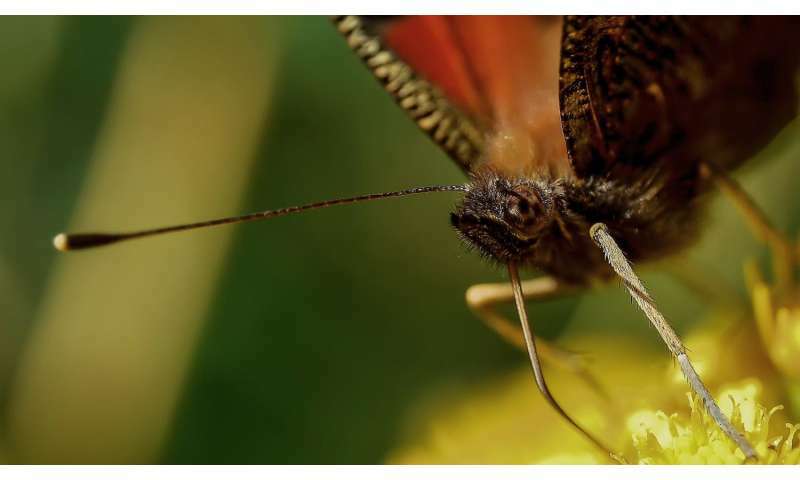 Measuring 50 years of butterfly and moth data against extreme weather events since 1968, scientists looked for years in which an unusual number of species responded in synchrony, with 1976 found to be the most devastating. "It was the culmination of a two-year event." said Dr Phil Platts, Postdoctoral Research Associate in York's Department of Biology and co-author of the study. "Hot and dry conditions stretched back to the spring of 1975. This was initially good for butterflies and moths, and their numbers boomed. But then extreme heat and sustained drought in the summer of 1976 tipped the balance, causing numbers to plummet across at least 50 different species." The study also looked at the impact of extreme weather on birds, determining that the cold winter of 1981-82 had the biggest effect on their numbers. A third of bird species crashed as temperatures fell as low as -26 °C. Researchers concluded, however, that for many of our widespread species, occasional extreme weather events have not, to date, had a lasting impact on population trends. "This seems to be truer of short-lived species that can multiply rapidly, like butterflies and moths, than of the birds we studied." said Professor Tom Brereton, co-author and Head of Monitoring at Butterfly Conservation. "For most species, current evidence suggests long-term declines are being dominated by factors such as habitat loss and intensive farming methods." However, global warming is projected to increase the frequency of extreme weather events such as heatwaves and drought, and it is likely that some of these will generate even greater population changes than we have seen so far. This April was the warmest on record in the UK, and the second warmest globally, beaten only by April 2016. The flip side, adds Dr Platts, is that cold extremes will become increasingly rare: "Species may be released from historical constraints, such as extreme cold, just as they may be hampered by the new extremes." Professor Chris Thomas, senior author in York's Department of Biology, said: "If we want to avoid a future super-heated drought that will put 1976 in the shade, then we need to address the root cause of climate warming - greenhouse gas emissions. Continued warming will gradually increase the chances that events that are as severe as 1976, or even more extreme, will take place over the coming century."